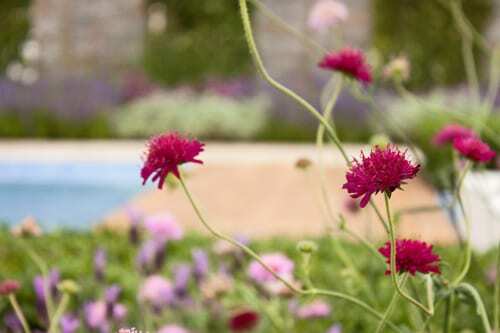 This afternoon, to finish off my visits to this year’s RHS Hampton Court Palace Flower Show, I’m going to feature three gardens which really appealed to me personally. 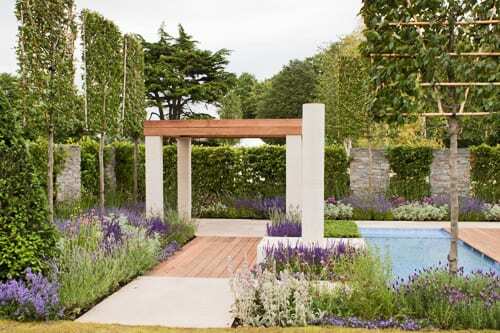 First off is Jack Dunckley‘s show garden called ‘The Italian Job’. 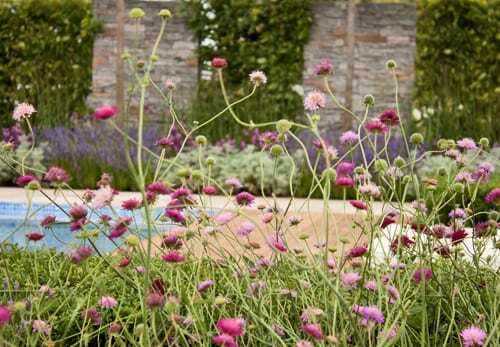 Jack, who is only eighteen years old, won a silver gilt medal. 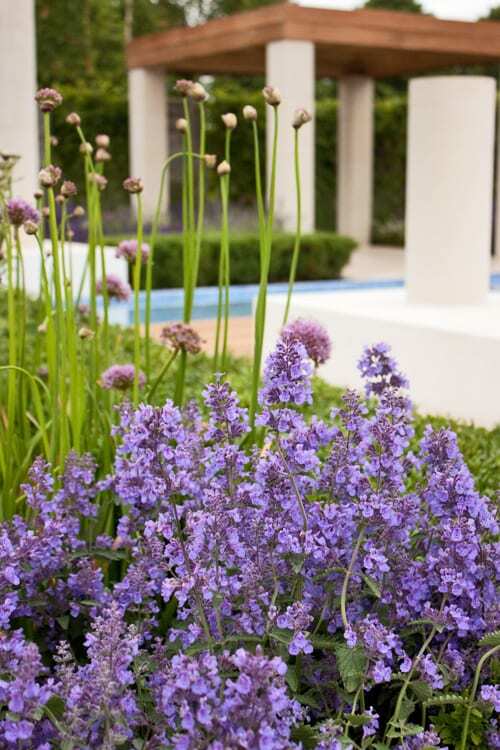 Inspired by Italian and contemporary garden design, it includes both formal and informal planting. 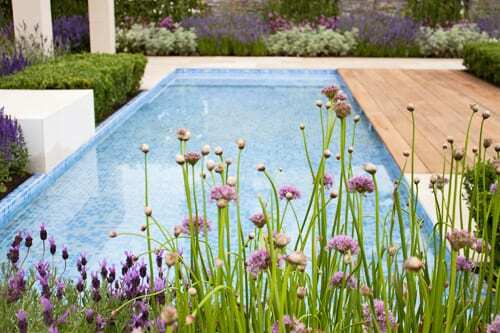 The garden was constructed by Jack Dunckley’s Landscape Design, together with Greenscape Estate & Garden Management. 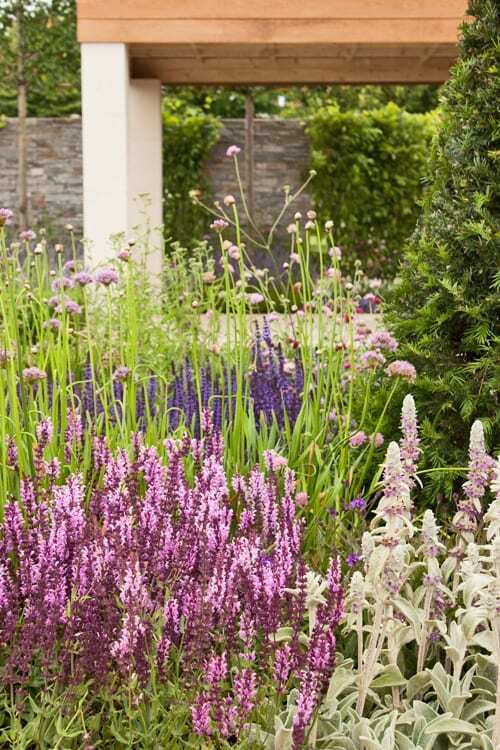 What I really loved about the design was the stunning planting, with all the different shades of purple contrasting with the burgundy blooms and silvery foliage. Many congratulations to Jack on his medal. If you’d like to keep up-to-date with his news, he’s on Twitter. 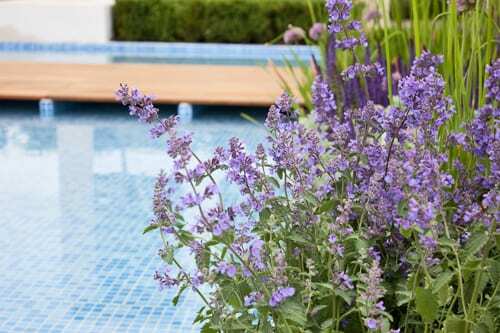 Shortly, I’ll be featuring the second garden, which is called ‘Preserving the Community’.